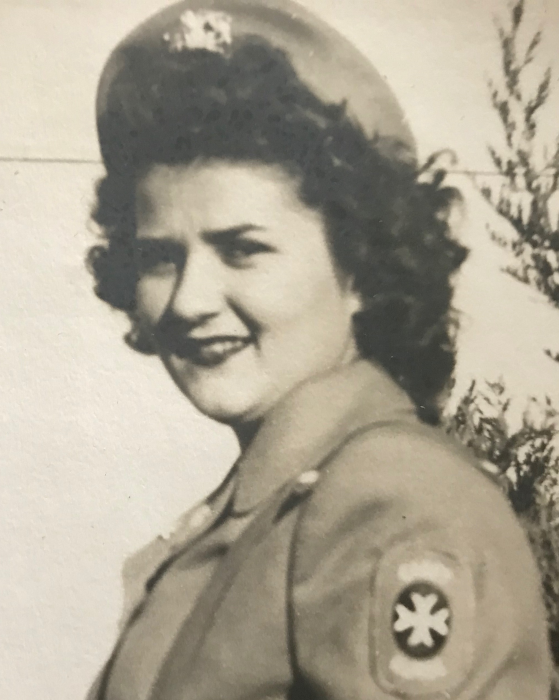 Obituary for Eleanor (Ventura) Moniz | O'Neill Funeral Home, Inc.
Mrs. Eleanor (Ventura) Moniz, age 92, of New Bedford, passed away peacefully Wednesday morning, March 27, 2019 of natural causes at Sacred Heart Nursing Home. She was born July 24,1926, daughter of the late Joseph and Albertina Souza Ventura. Eleanor was preceded in death by her husband Eric Moniz, and loving daughter Pamela Lowe. She is survived by her son-in-law Harry Lowe Jr., granddaughters Meghan Kelley, Elizabeth (Gregory) Cincotta, Katherine Lowe, and two great-grandsons Gavin Farmer and Luca Cincotta. Eleanor was a proud graduate of Saint Luke's Hospital School of Nursing, and later co-owner of Hazlewood Flower Shop once located on West Rodney French Blvd. She was known for being a fabulous cook, her outgoing personality, and kind and compassionate spirit. She loved her cats, day trips to Cape Cod, and watching her family grow. Funeral services are private and for immediate family. Those wishing to honor her life can make a donation in her name to The Humane Society & Shelter Southcoast, 31 Ventura Drive, Dartmouth MA 02747, or at http://hsssc.org.